PCC Mag Pouch - Pistol Caliber Carbine - Brian Enos's Forums... Maku mozo! I have recently acquired a new PCC. It uses Colt SMG Magazines. I don't know what I need to order to use as a Mag Pouch. I shoot an XDM and it is too big for that. I'm using my ghost 360 mag holsters. I had to increase the tension some so they don't rotate as easy since the 32 rd mags get top heavy. I had one turn on me during a stage before I increased the tension but it still held the mag in even though it was upside down. It can be a bit of a pain to get the mag in, but retrieval is smooth. I'm using Safariland 773 pouches for Glock mags with my Uzi mags. Just a bit more tension on the screws and they are fine. I have made a few for some of the guys. Most are not bad, the first Sig MPX mags took me some time. The CR speed pouches fit for my M&P mags seem to fit the colt style mags pretty well too. I discovered that as well with my 771 safariland. 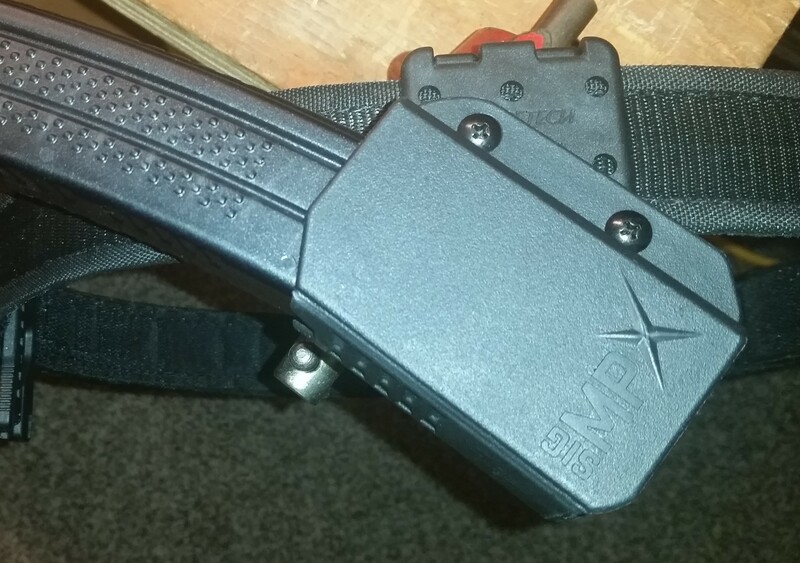 Does anyone have ideas for MPX mags? The Sig(bladetech) would be nice but you can't put any cant on them. Doesn't look like they are adjustable for cant (MPX). Yup, same thing I did. The Colt pattern mags fit in a Blackhawk mag pouch. 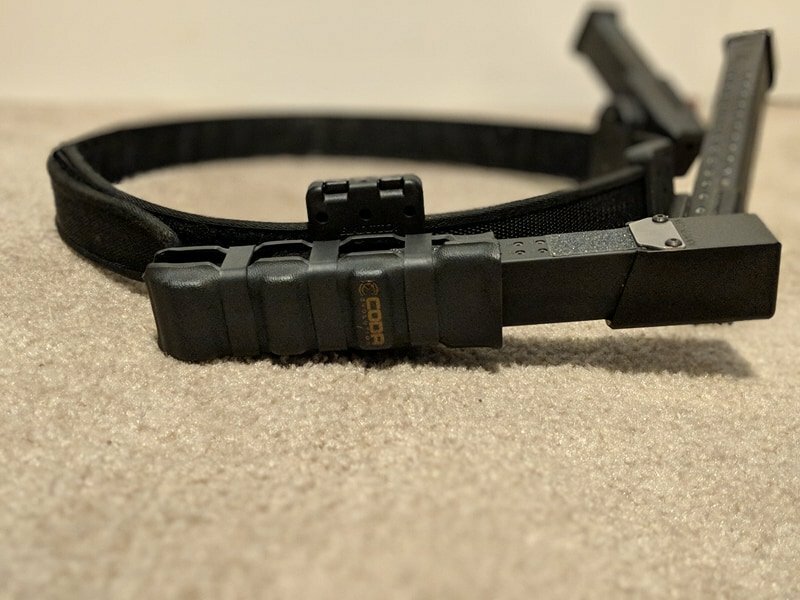 I tried a Double Alpha magnet, but since I use Glock mags it wasn't a good solution and I switched to their Racer pouch. Metal-bodied Colt mags would work fine with the Racers or the magnet. I had the same question after my first PCC match that involved movement. Nothing blows your stage like having your reload fall out while you're moving.. Found out the hard way that a fully loaded 32 round Colt mag is to much for the Ghost 360 pouches. After a bit of research and checking out what the local guys were using, I ran across the Comp-Tac PCC PLM pouches (https://comp-tac.com/pcc-plm-magazine-pouch-pistol-caliber-carbine-push-button-locking-mount-owb-kydex/). I've got 2 of them, I carry 1 mag at a slight angle in front of my hip, and a "oh crap" 2nd mag nearly horizontal on the front (angled upward slightly so that I can take a knee and not have it jab me). I've run several matches with them and they've worked extremely well for me. Enough tension to hold the mags securely, but I'm still able to reload smoothly without having to yank on them.